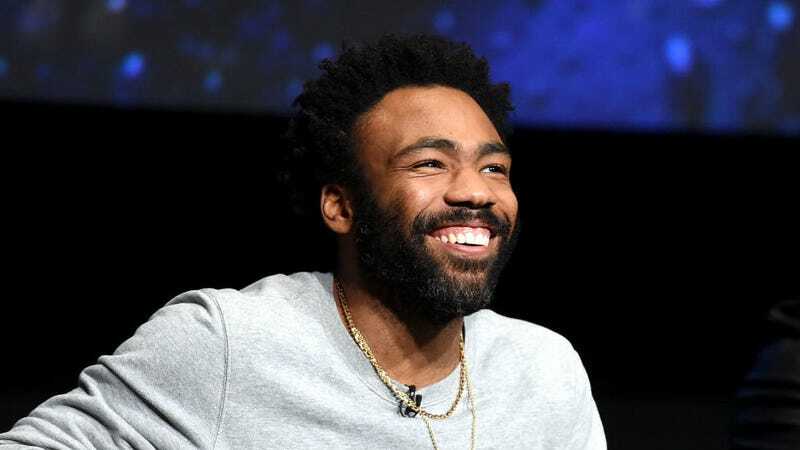 Donald Glover may be putting his Childish Gambino alter ego on ice soon, but he’s clearly making the most of his remaining time with his acclaimed musical project. The release of “This Is America,” in particular, is a career highlight, from its fantastic music video to the song itself, which is both very good and very, very popular. It is so well-loved, in fact, that even the first bars of the track have the power to blow the minds of an audience of seated high school kids. Watch on to see this effect in action through a video taken by poet, musician, and activist Malcolm London at a community youth event held last night in Chicago. Glover’s appearance was part of OpenMike Chicago, an event organized by SocialWorks Chicago and the Chicago Public Library’s YOUmedia youth space. While the kids were likely very happy to hear Chance The Rapper speak in person, it’s pretty clear that ol’ Chano doesn’t light the fire in teen hearts the way a surprise Childish Gambino performance does. The room seems to shake as Glover walks onstage, the kids, sitting calmly moments earlier, rushing the stage and drowning out the music with shrieks of pure joy. Glover, too, is immediately fired up by the response. Launching into the song’s first verse, he bounces on the spot, voice lost within the crowd shouting along to the lyrics. It’s a great clip and strong evidence that “This Is America” is a real contender for this summer’s—and this year’s—defining song. As well-constructed a piece of pop art as it is, it’s also just a legitimate goddamn banger. The kids’ reaction, after all, doesn’t lie.